Are you trying to determine what guitar finish best suits you? 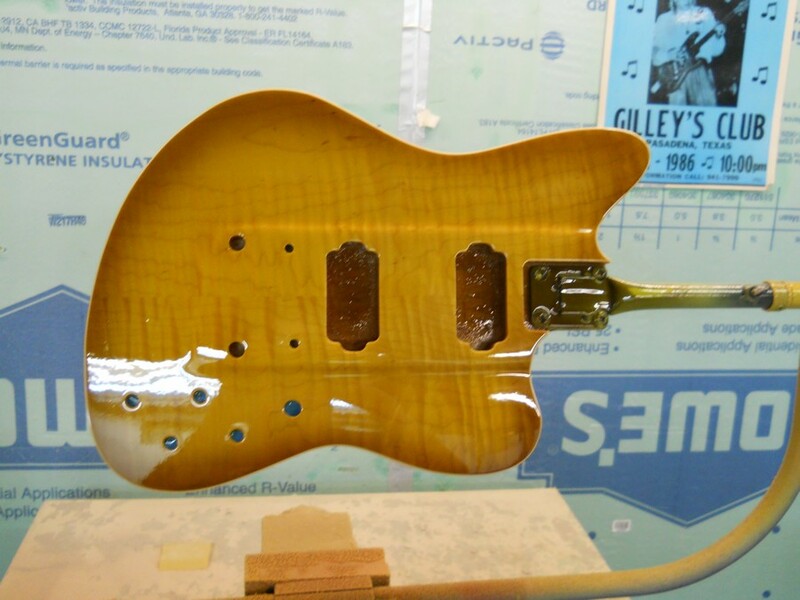 It usually boils down to Nitrocellulose (nitro) lacquer vs. Urethane guitar finishes? This horse has been beat to death. One is too thick and robs tone, the other too thin and fragile but lets the guitar resonate. Is this true? The difference in the two are night and day. Urethane is dried by chemicals and can be ready to buff out in just a few days. Nitro needs to air dry to release its solvent and it’s usually a good bet it will take about thirty days to dry. Urethane is far more durable, scratch resistant and easy to work with. Nitro is very fragile and can be damaged easily or even cracked by cold weather. Nitro can have a sticky feeling to your hands even years after its painted where as urethane does not. You can achieve an equal amount of gloss with either. This is very subjective. Sometimes a person hears what they want to hear. You would be hard pressed to hear any difference in tone in any of our guitars at Huffman & Co. Custom Guitars. The reason I think there is little difference is because I believe what matters is the thickness of finish. I believe that plays a major role in how “alive” the guitar sounds. When I use urethane, I keep it as thin as possible. It is all a matter of what you are looking for in your guitar. Durability may be what you are looking for over vintage correctness. Either way, when done right you can hardly tell a difference in the two. For me its simple. On a vintage recreation or restoration I want lacquer. Why? Because its what they used in the fifties and sixties and its the only way to get the proper aging of those finishes. 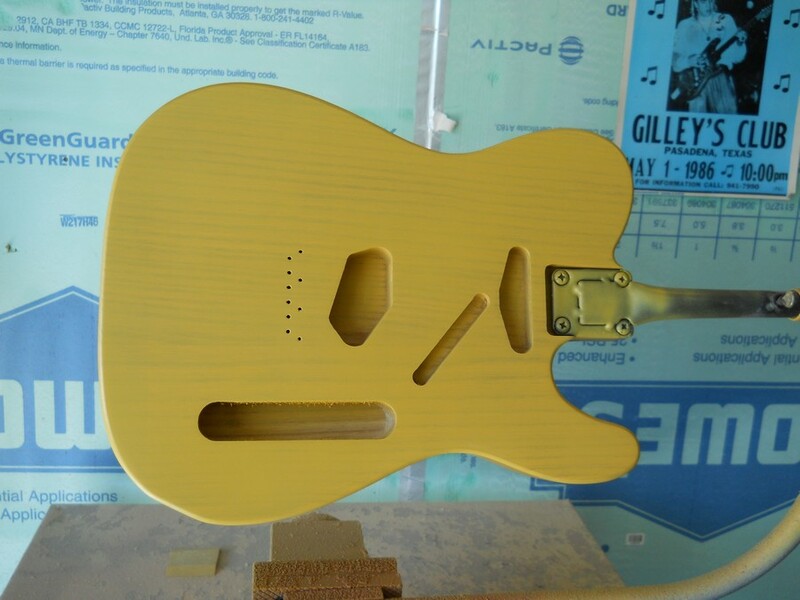 For a more modern guitar, I much prefer urethane for its long lasting shine and durability. Need help deciding? Just go and play a lot of guitars with each type of finish and see what’s feels best to you. After all, what fits you is all that really matters.